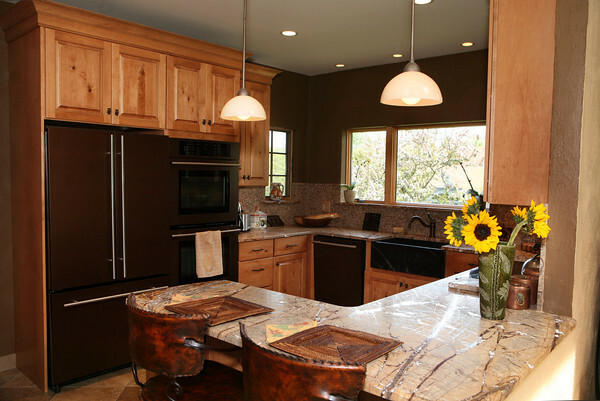 The kitchen has Mississippi Mud colored walls in and mocha finished cabinets. The kitchen cabinet knobs are in the shape of twigs and acorns. The farmer's sink is made of black soapstone and the kitchen table was made at Walker Creek in Essex.